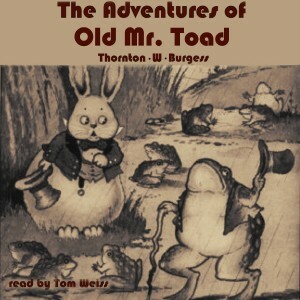 Old Mr. Toad is the main character in this audiobook. He teaches the listener lessons about thinking before talking, downside of self-pride, and how important old friends can be. Old Mr. Toad believes he is very smart and considers it a duty to teach his friends in the Green Forest important facts. There is even a villain in the book, Mr. Blacksnake. Thornton Burgess teaches young listeners about the habits of toads and in spite of this being a children’s story, reminds us that the animals in the story do have to worry about survival.